Recently, I’ve been utilizing a web 2.0 tool for education called Voice thread (www.voicethread.com). This site allows you to have text, audio and video conversations around a central point of focus. For example, you can post a famous piece of artwork into a thread and then people (public or private) can share their thoughts and opinions about the piece. They can respond to everyone’s comments as well. The thread also affords users tools to make marks and highlight things directly on the central focus point while they talk, helping to illustrate their points or draw attention to something specific. 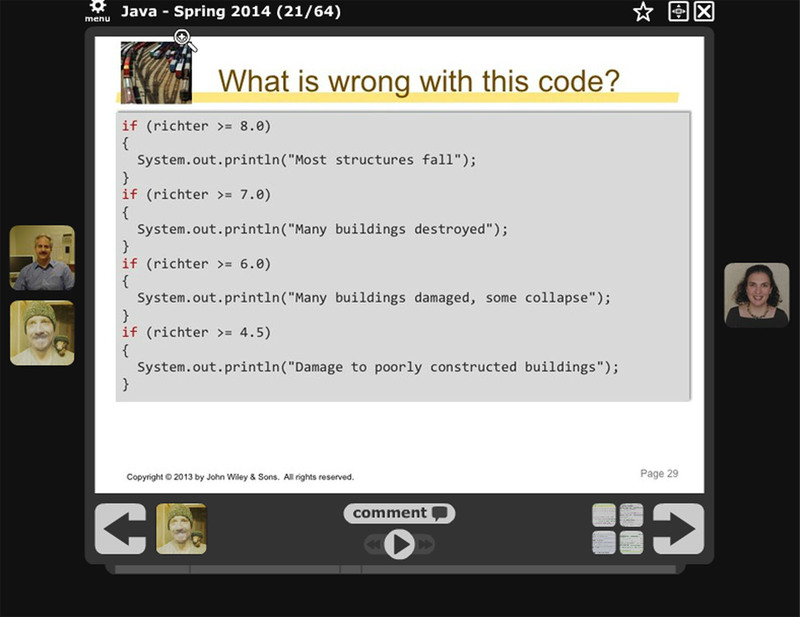 In my experience, I have been using voice thread to learn about coding. It’s such a great supplement to an online class because you can have conversations around lecture slides, and it provides another fun forum to explore thoughts and ideas. Another cool feature is the ability to zoom into the central focus point so that you can see the material more clearly if fonts or details are otherwise obscured. A feature that I wish it had was the ability for commenter to switch out the central focus point if needed in order to show the group something a little different, almost like an interjection in the discussion. This would allow users to stay on topic while temporarily changing the display of the central focus point. Bottom line is that I found it to be a very useful tool for online courses, by giving subject matter the collaborative feel of classroom environment. I must confess that it has been awhile since I have used a photo sharing site. With iPhones making it easier to share a photo album with groups of friends in your contact list, I had strayed from sharing photos from an external site. Recently I navigated to flickr, to research photos on poverty in America. The old adage that a picture is worth a thousand words rings true here. While you’re browsing through the various photos, you get a sense of poverty in America that you just can get from a research paper or data sheet. One thing that is a little frustrating with such sites, is that the photos can be quite difficult to share. Many of them have restricted sharing features which seems counter-intuitive to a site designed to share photos with the public. I wanted to embed a few photos into this blog, and though the feature was available, it was not allowed on the photos I looked at. I think that flickr could be a great way for students to organize a visual exploration of a topic. By sharing photos of, for example, photosynthesis, students might gain a deeper understanding of the process, since they will have an array of images associated with other learning material. 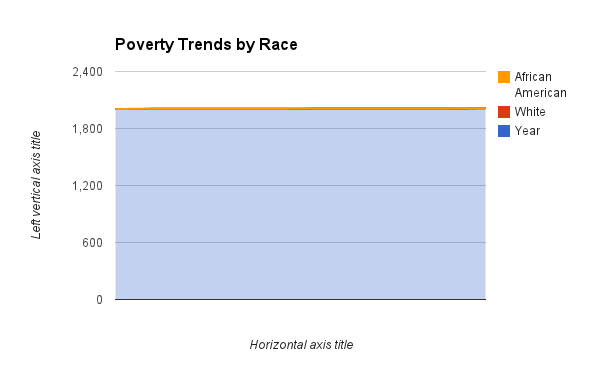 Recently I’ve been using Google drive spreadsheets to collect data on poverty in America. The ease of collaboration cannot be denied. Having the ability to collect data with a group of other people and make sense of it is a very powerful tool. However, I found the UI a bit clunky and it was difficult to create customized charts to interpret the data. Especially when compared to more popular spreadsheet software like Microsoft Excel. 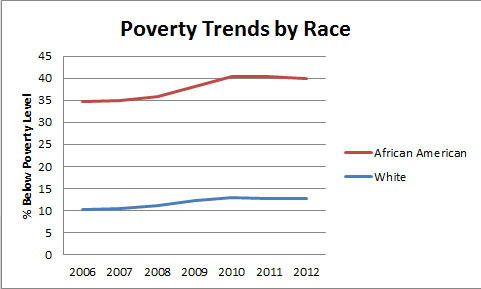 I was able to quickly display a chart from gathered data in Excel showing the percent of poverty rates from specific data. Whereas, applying the same data and format in the Google spreadsheet produced nonsensical results. Recently, I’ve been using a mindtool called bubbl. Located at http://www.bubbl.us this tool allows you to create a concept map using bubbles. 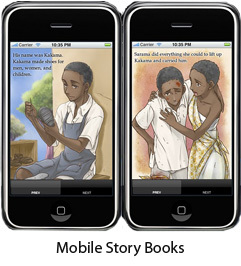 You can create child bubbles, link them and add text and pictures. It’s a terrific way to graphically represent a concept. One of the more notable features is that you can share your created concept map with your contacts and designate varying levels for their involvement. If you share the document and make others editors, you can all collaborate on the concept map together. Anyone one who has ever put a concept map to pen and paper will immediately recognize the usefulness of this digital tool. Bubbles are easily created, deleted and linked, so organization becomes very simple and manageable. I started an elementary concept map about surfing, and found that it helped connect the concepts involved in a readable and visually pleasing way. Having such a tool in the classroom would be a great way for students to collaborate on a topic, brainstorm a project and enhance their content knowledge about a subject. This tool does exactly what it’s supposed to do, and I haven’t found very many flaws. To access some of the premium features (attaching pictures, exporting/importing) you have to pay for a subscription but the fee is nominal and the website does offer a substantial student discount. When consi dering the integration of technology into our public school classrooms, there’s reluctance on the part of educators and administration, not the least of which are budgetary concerns–especially for schools with predominantly underserved populations. In these instances, digital enhancements, new media and educational technology is deemed a superfluous luxury instead of what it should be–a fundamental part of every classroom. So how do we clear this hurdle? Funding our nations schools has always been a struggle, and new technologies are expensive. How can we possibly bridge the gap, and give schools a much-needed digital makeover? A study from the Nielsen Company found that 82% of US households have computers, and of those, 92% have internet access — and this was back in 2008. With more and more households connected, the technology used at home is screaming to be let into public schools. Maybe we can deliver a benevolent Trojan Horse, a gift fostered and created at home that school’s find so irresistible, they throw open their doors and let the technology inside. 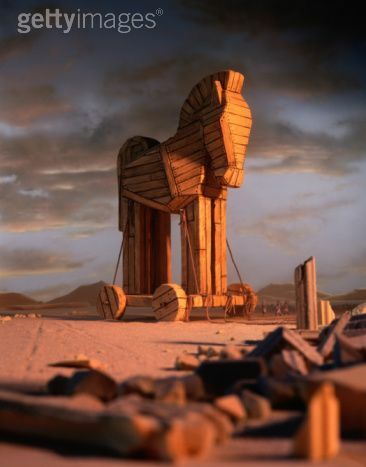 In my opinion this Trojan Horse has a name — the Khan Academy. Right next door to me, in Los Altos, school districts are using the Khan Academy to supplement their classrooms. For those readers not familiar with the Khan Academy, I suggest you take a look. Started by Salman Khan, it is a website with a wealth of engaging educational videos on everything from math to science and social studies. The videos are so well made, that fifth graders in Los Altos are solving inverse trigonometric functions. The homework/instruction relationship of the school is reversed, with children watching the instructional videos at home and then doing the problem sets at school, where the presence of a teacher to help students that are stuck on problems can be most beneficial. Teachers can also monitor their students’ performance on problem sets in real time, providing additional instruction and aid to those who are struggling. Best of all — Khan Academy is free! So much for budgetary concerns. So maybe when public schools start to realize that the integration of technology is not only helpful but affordable, we can witness a sea change in the way our students are educated. Sometimes, revolutions are started in the places we least expect them–right in front of us.